The German Adult Education Association (Deutscher Volkshochschul-Verband or DVV) organized the event at Paulskirche in Frankfurt, Germany’s ‘cradle of democracy’ where the first assembly of representatives met in 1848 to prepare a first national constitution for Germany (unsuccessfully, as it turned out). 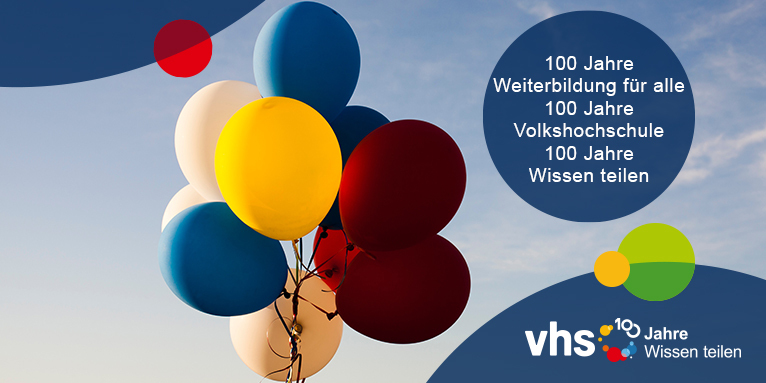 The event marked the centenary of the foundation of many Volkshochschulen across Germany, following the 1919 Weimar constitution, which made adult education a key component of a comprehensive education system, alongside formal school and higher education. The Mayor of Frankfurt, Peter Feldmann, stressed the importance of diversity as a key resource of community development in Frankfurt, where the integration of growing numbers of inhabitants of international origin had contributed to a major decline in crime figures since the 1970s. ‘We must make it clear in everyday life that our democracy is for everyone,’ he said. ‘This, too, is the task of the Volkshochschulen’. Ms Annegret Kramp-Karrenbauer spoke about her own political roots in community development and the importance she attached to cultural and educational development. It was important, she said, that adult education centres were open to all citizens and remained places of encounter and dialogue that were themselves organized in a democratic way, particularly in times of ‘fake news’ and ‘reality-distorting filter bubbles’. ‘Democracy does not work in a juxtaposition … but only in one togetherness,’ she said. 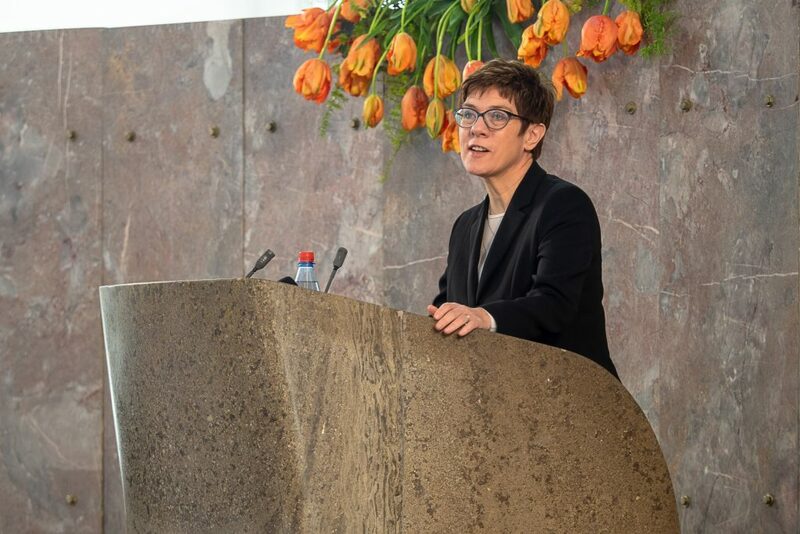 It was interesting to note how, throughout her speech, Ms Kramp-Karrenbauer put stress on the second syllable of ‘Volkshochschule’ rather than, as is more usual, the first – perhaps reflecting a wish to highlight both the quality of the provision as well as its wide reach. The event offered a timely reminder of the important relationship between adult education and democracy, and underlined the high-level political support this idea still commands in Germany. This is important and is reflected also in the strong support UNESCO continues to receive from the German government, particularly in the field of lifelong learning. All in all, this was a fantastic celebration, on which we congratulate our friends at DVV. The contribution of adult education to democracy has never been more important, which is why I would like to extend my best wishes for the next 100 years! This entry was posted in Education 2030 and tagged adult education, adult education centres, Annegret Kramp-Karrenbauer, democracy, DVV, education for democracy, Volkshochschulen by Paul Stanistreet. Bookmark the permalink.